Facebook realizes that vague or self-congratulatory status updates might not hold your attention the way they used to, and since people are already posting fictitious content to the site, the streaming platform is now trying to get ahead of that curve. 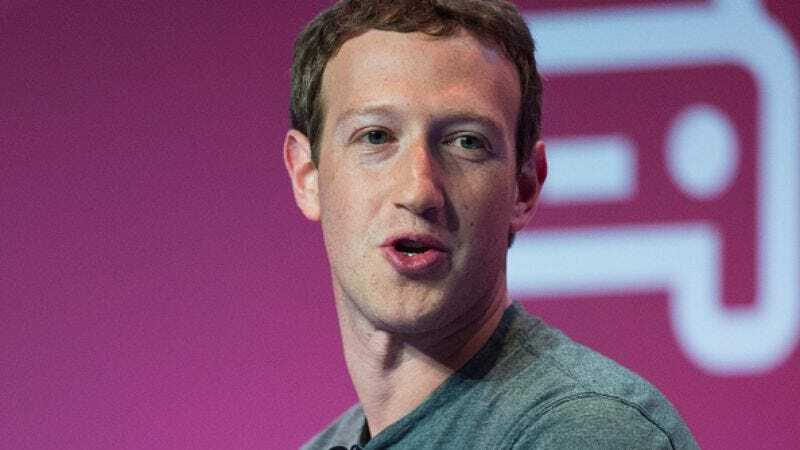 According to The Hollywood Reporter, Facebook has announced plans to develop its own TV content, what with so many of its users toggling between its app and various streaming ones. Leading those efforts is CollegeHumor co-founder Rick Van Veen, now Facebook’s head of global creative strategy, who says the company’s earmarked funding to “build out high-quality content for Facebook’s new video tab.” That video tab was recently rolled out and, incidentally, is right next to the news feed tab, in case you want to turn off your relatives’ ranting and switching to something a tad less grating. Facebook’s already partnered with outlets like BuzzFeed and CNN to produce content for Facebook Live, but this new initiative would include scripted and unscripted content, as well as sports. Van Veen said Facebook wants to kick start “an ecosystem of partner content,” and the company’s been “exploring funding some seed video content.” that would best utilize the “mobile and the social interaction unique to Facebook.” Ultimately they want to “show people what is possible on the platform and learn as we continue to work with video partners around the world.” YouTube had a similar program in the original channel initiative, whose work continues in the recently launched YouTube Originals. Twitter’s also dabbled in bringing sports to its subscribers, so Facebook is actually a little behind here.